Before you plan to conduct a new installation, or system conversion, or upgrade to SAP S/4HANA 1709 release, an essential tool that is required is the Maintenance Planner. Maintenance Planner has been introduced in SAP S/4HANA 1511 and now the de facto standard tool for planning maintenances within an SAP landscape. 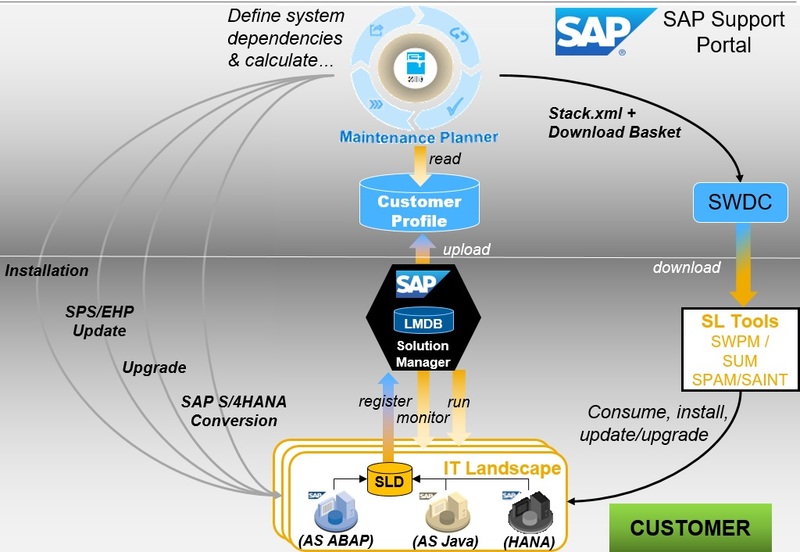 In this blog, I will discuss how the Maintenance Planner can be used for the project team to install, convert, or upgrade to SAP S/4HANA 1709 release. New Installation of SAP S/4HANA 1709 – For new installation of SAP S/4HANA 1709, no setup is required. You can logon to Maintenance Planner (https://apps.support.sap.com/sap/support/mp) and begin the process to plan for SAP S/4HANA. However once your installation is completed, you will need to go through the setup process to register the system to System Landscape Directory, pull the data to Solution Manager, and upload to Service Marketplace for Maintenance Planner so additional maintenance can be done at a later stage (e.g. FPS/SPS or SAP S/4HANA Release upgrade). Conversion of ERP 6.0 or Upgrade to SAP S/4HANA 1709 – Before you can use Maintenance Planner for conversion or upgrade, you will need to conduct the initial setup if not already done. Please refer to the blog Maintenance Planner – Prerequisites and Initial Setup for detail steps. New Installation of SAP S/4HANA 1709 – This section in the document will provide a walkthrough of running maintenance planner for generating a stack file for a new installation. The example will illustrate the steps and screenshots to obtain a stack file for a SAP S/4HANA 1709 Backend server, AS ABAP for S/4HANA 1709 Fiori server, and AS Java for Adobe Document Service server. System Conversion to SAP S/4HANA 1709 – This section in the document will provide a walkthrough of running maintenance planner for generating a stack file for converting an existing SAP ERP 6.0 EhPx Unicode system to SAP S/4HANA 1709. The example will illustrate the steps and screenshots to obtain a stack file for converting a SAP ERP 6.0 EhP7 system to SAP S/4HANA 1709 and combine a new installation of an AS ABAP for S/4HANA 1709 Fiori server. System Upgrade to SAP S/4HANA 1709 – This section in the document will provide a walkthrough of running maintenance planner for generating a stack file for conducting an upgrade of an existing SAP S/4HANA release (e.g. 1610) to a higher release (e.g. 1709). The example will illustrate the steps and screenshots to obtain a stack file for upgrading a SAP S/4HANA 1610 system to SAP S/4HANA 1709. The scenario in the example is a central hub deployment so the Maintenance Planner process is done separately, one for the SAP S/4HANA backend server and another for the SAP S/4HANA frontend Fiori server.